I recently had a new blog post published on Singletracks.com entitled "Trail Tuesday: Six Guided Multi-Day MTB Trips to Check Out." Do you ever feel like you’re just riding in circles on your local singletrack? If so, a guided mountain bike tour in a far away place is just what you need in 2012. Aside from getting to shred new dirt, most multi-day guided trips allow you to focus on riding while leaving boring details like eating and sleeping to someone else. 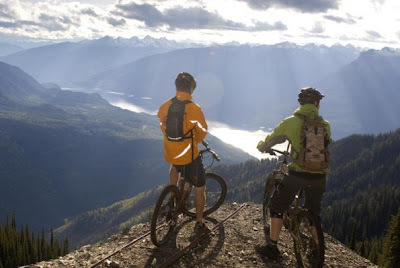 There are dozens upon dozens of guided mountain bikes trips and tours available all across the planet! If you want to do a little research to find the trip that is right for you, spend some time with The Google, or just go to our mountain bike trips page. But to whet your whistle for adventure and give you a small taste of what sort of guided mountain biking opportunities are out there, here are six dream-worthy expeditions that you could take this year.